WASHINGTON -- The U.S. is running out of patience with Canadian and Mexican resistance to key American proposals ahead of talks next week on a new North American Free Trade Agreement, two people familiar with the matter told Bloomberg. The U.S. is serious about its threat to withdraw from NAFTA if there’s no breakthrough on proposals the Trump administration has made that are intended to rebalance trade, said one of the people, who spoke on condition of anonymity because the negotiations aren’t public. The Trump administration wants to see serious counteroffers to U.S. demands like tightening content requirements for cars. U.S. negotiators also want tangible signs of movement from its trading partners on issues such as Mexican labor conditions, which the U.S. says keeps the nation’s wages artificially low, and a “sunset clause” that would cause the agreement to expire in five years unless the countries agree to renew it. U.S. officials are particularly frustrated with what they see as Canada’s intransigence at the table, according to the two people. While Mexico has shown some flexibility on the U.S. proposals, Canadian officials are more reluctant to give ground, preferring to promote Prime Minister Justin Trudeau’s concept of a “progressive” trade agenda based on improving gender equality and the environment, among other things, one of the people said. The tension between the United States and its trading partners, especially Canada, sets up a pivotal round of talks in Montreal that begin Tuesday and wrap up Jan. 29. With the negotiations on home turf, Trudeau’s Liberal government will want to be seen standing up to Canada’s bigger neighbour and its Republican president. For its part, the United States won’t be happy with merely procedural discussions on how to address the administration’s toughest demands. Canada has said it will present new ideas in the upcoming round of talks. "We’re continuing to work diligently with our Mexican partners and with our American partners to make progress," Canadian Finance Minister Bill Morneau told reporters Thursday in Toronto. "We’ve said that we have some constructive ideas on how to make a difference in terms of moving forward the NAFTA discussions." 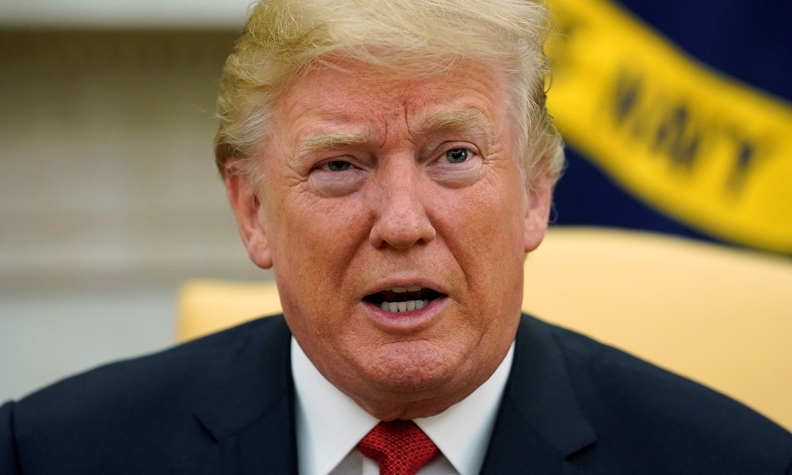 President Donald Trump has repeatedly threatened to pull out of the deal, which he blames for America’s $63 billion deficit in goods and services with Mexico. In a tweet Thursday, the president called NAFTA a “bad joke,” and reaffirmed his plan to build a wall with Mexico. Mexico and Canada are casting the talks in a different light. Mexico’s Ambassador to the U.S. Geronimo Gutierrez said Thursday that differences are narrowing in the talks, while last week Canadian officials said the chances are rising that Trump will exit the deal. At a negotiating round in November in Mexico City, U.S. officials were flabbergasted when Canadian negotiators delivered a presentation suggesting the U.S. proposal on autos is misguided, an approach the U.S. considered to be more of a lecture than a counteroffer, one of the people said. Gutierrez said Thursday Mexico may be able to accept an increase in the regional content requirement for vehicles traded under the deal. NAFTA requires a vehicle to have a minimum of 62.5 per cent North American content in order to benefit from tariff exemptions for autos assembled and traded in the region. The Trump administration has proposed raising the so-called auto rules of origin requirement to 85 per cent North American content and add a new 50 per cent U.S. content minimum.